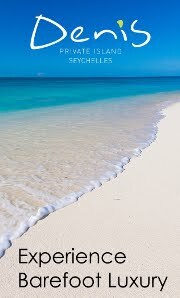 Gearing up for their debut into the luxury travel sector, Alphonse Island welcomed a selection of Seychelles' based DMC's as well as the Seychelles Tourism Board to experience the array of extensive activities and to showcase the raw and natural beauty of the island. 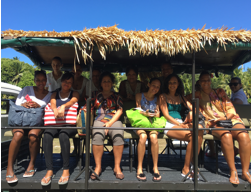 DMC's included 7˚South, Creole Travel Services, Mason's Travel as well as representatives from the Seychelles Tourism Board. 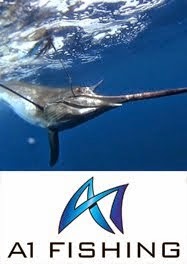 Predominantly known as a world-class fishing destination, from the 1stOctober 2016, Alphonse Island will be entering the luxury travel sector of the market and will welcome leisure guests for the entire 2016/2017 season. 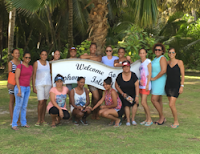 Hosted by Alphonse Island's Marketing Manager Amanda Lang, the aim of the visit was to change the perspective of people's opinion of the island primarily recognised as a destination for world-class fishing and fly fishing. During their visit, DMC's and the Seychelles Tourism Board were treated to a tour of the island and informed of its diverse history and beginnings before embarking the island's own catamaran, A'Mani for an afternoon of water based activities including snorkelling, kayaking and paddle boarding. Conservation is paramount on Alphonse Island and visitors were encouraged to interact with the rescued tortoises and feed them and learn the importance of planting new trees on the island. "Once a perception of a place has been established, it can be difficult to change. By conducting a visit to Alphonse Island, comprising of local DMC's and the national tourism board, it gave influential tourism entities the opportunity to fully experience the new offerings available at Alphonse Island through the eyes of a discerning leisure guest, ready for our foray into this sector from October 2016." Enthused Amanda Lang, Marketing Manager for Alphonse Island. 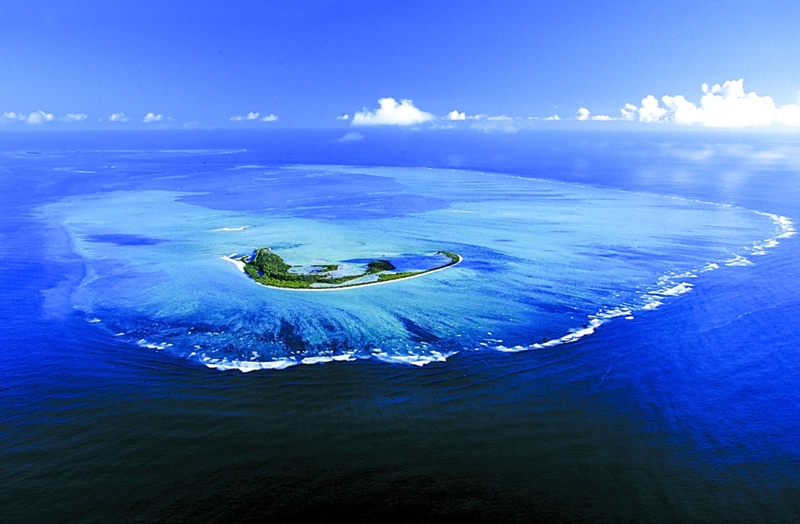 "The recent trip really changed our perception of Alphonse Island. Creole Travel Services are very much looking forward to working with Alphonse Island to welcome the guests from the luxury travel sector as it enters into this lucrative market. 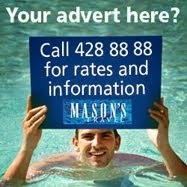 It will add a new dimension to the outer island experience." Exclaims Genna Hoareau, Rates and Contracting Officer for Creole Travel Services. Alphonse Island is positioning itself as 'an experience for all the senses'. It will focus on the spectacular range of unique activities and encounters, exclusive to Alphonse Island, incorporating many gastronomic events including BBQ's by firelight, flats lunches, private picnics and romantic dinners. Alphonse Island will open for the 2016 season from the 1st October. It will be offering weekly flights to the remote and unspoiled island.